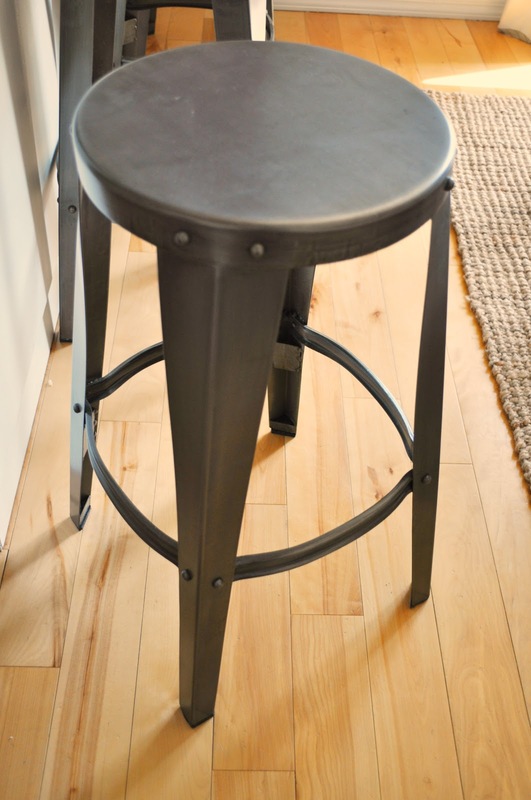 Suburbs Mama: Finally got my Counter Stools! I finally bought new counter stools. However, the $79.98 price tag on them kept me at bay. I browsed around everywhere, and even considered these. However, I could not find anything I loved as much. Finally, last week.... I decided that I am just going to buy one chair at a time and maybe within 2 months I will have all four. So I managed to get all 4 for $160! I know they are not everyone's cup of tea, but I think they look wonderful! Just what my kitchen/dining space needed. The chairs are nice and sturdy. They have little pads on the feet, so the kids can push them around the floor without scratching the hardwood. These chairs will look even better as years go by with wear and tear. they are awesome and i was thinking the same thing as jenny! 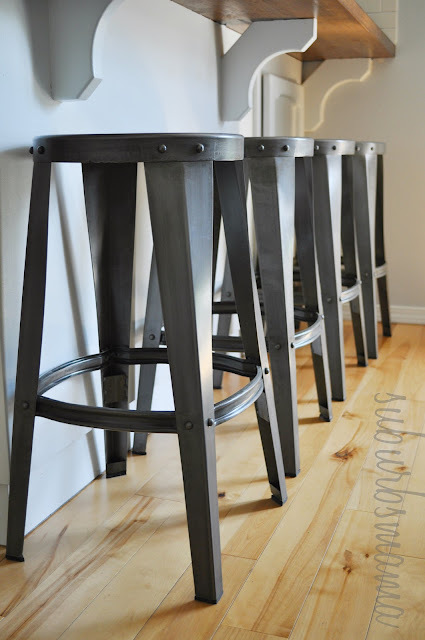 i luv the industrial look of them against the traditional wood floors.